THE HOLOCAUST ART RESTITUTION PROJECT DENOUNCES A “SHAMEFUL” AND “TRAGIC” DECISION BY THE FRENCH GOVERNMENT TO REFUSE THE SUSPENSION OF AN AUCTION SALE OF SACRED HOPI AND NAVAJO MASKS TO BE HELD AT PARIS’ HOTEL DROUOT ON JUNE 27, 2014. Washington, DC, USA – June 27, 2014 - The Holocaust Art Restitution Project ( “HARP”), based in Washington, DC, chaired by Ori Z. Soltes, is denouncing a “shameful” and “tragic” decision by the French “Conseil des Ventes” (“Board of Auction Sales”), an administrative body in charge of regulating and supervising auction sales on the French market, which is refusing to suspend an auction sale of sacred masks owned by the Hopi and Navajo tribes, scheduled for Friday, June 27, 2014. On June 22, 2014, HARP, through its President, Ori Z. Soltes, wrote to the Conseil des Ventes, to request an administrative suspension of an auction sale scheduled for Friday, June 27, 2014, which involved sacred objects of both the Hopi and the Navajo tribes, and for which title never vested with subsequent possessors due to the sacred nature of these objects. Following a special hearing held in Paris on June 25, 2014, the Conseil des Ventes, which has the power to suspend such sales, just issued its decision, refusing to impose a suspension. “The decision by the Conseil des Ventes is both tragic and shameful. The Conseil has refused to consider the provenance information for these objects in its decision, when everyone agrees in the United States that title for these sacred masks could have never vested with subsequent possessors. Furthermore, adding insult to injury, the Conseil held that the Hopi tribe, in fact ANY Indian tribe, has no legal existence or standing to pursue any cultural claim in France. This dismissive denial of access to justice flies in the face of the progress made in international law by all tribes and indigenous peoples, as the French government had expressed its support for the legal status of indigenous peoples by its endorsement in the UN General Assembly in support of the 2007 United Nations Declaration on the Rights of Indigenous Peoples (UNDRIP),” said Soltes. HARP is a not-for-profit group based in Washington, DC, and chaired by Ori Z. Soltes, dedicated to the identification and restitution of looted artworks require detailed research and analysis of public and private archives in North America. HARP has worked for 16 years on the restitution of artworks looted by the Nazi regime. In the spirit of an on-going "think-aloud" pertaining to the nature of provenance research and the art restitution movement, here are some additional thoughts for discussion. 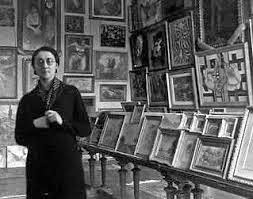 By May 1945, somewhere between 15 and 20 million art objects of all sorts, from masterpieces to portraits of your favorite saints and relatives, had been misplaced due to civil unrest, persecution, war, genocide, and theft. Of those misplaced cultural objects, a small number fit the moniker of “culturally-significant” or “national treasure” or both, depending on who was defining those two very odd expressions. For the sake of the argument, let’s just say 1 to 5 per cent of the misplaced objects fit those categories, or 100,000 (lowest number) to 1 million (highest number). The rest fell into the general bucket of culturally not so significant or insignificant, again, depending on who is expounding on this odd categorization. Postwar Allied restitution policy ended up focusing on the 1 to 5 percent of objects lost or missing due to State-sponsored mischief between 1933 and 1945. For the rest, compensation schemes were foisted onto shell-shocked survivors and their kin due to an institutional absence of interest amongst postwar governments to aid those victims in locating and recovering their missing cultural property for reasons mentioned above. Many of the culturally significant objects and those earning the label of “national treasure” came from State collections plundered by the Axis and from private collections owned by wealthy individuals with close ties to State museums in countries dominated by the Axis. Those items received favored treatment in the eyes of the Allies and their representatives, referred to as “Monuments Men”. The Allied powers’ prime directive was the economic, political, social and cultural rehabilitation of Europe (read that part of Europe not occupied or influenced by the Soviet Army and its government) especially as the incipient Cold War became a full-fledged game of geopolitical antipathy between former wartime allies. As a consequence of the aforementioned factors and those tied to the inevitable human condition—people over property—most survivors did not file claims in the immediate postwar period and only did so after deadlines had passed and the only chance of physically recovering most if not all of their lost property was close to 0. By 1956, the US State Department had estimated that approximately several hundred thousand cultural objects of all kinds and shapes and value were still being claimed through its good offices by individuals from more than 30 nations. From the mid-1990s to today, in the absence of any concerted international effort to tally the total number of claimed objects registered as such with national governments, we can only guess that, perhaps, the aggregate total figure of claimed cultural objects is in excess of the number declared by the State Department in 1956. Moreover, there is no available as to the number of claims filed against museums and other institutions that hold or trade in art objects. The number of objects claimed might well be in the thousands but proof being in the pudding no one can be sure of anything at this point in time. Recommendation: nations that are signatory to international compacts known as the Washington conference of 1998 and the Terezin Declaration of June 2009 should conduct a census of all outstanding claimed cultural objects registered as of now in their care and publish those results for public consumption and analysis. The same appeal can be made to the members of the art market and ask that it provide figures representing the number of objects in their custody which are subject to claims without giving out names out of a concern for data privacy. Historically, the most accessible statistics are repatriation figures from various postwar governments and official statistics regarding actual physical restitutions up to the early 1950s. Since then, there is very little public information that can be found about how many art objects were returned to rightful owners between the mid-1950s and the beginning of the 21st century. Those nations that have established restitution committees (the United Kingdom, the Netherlands, France, Germany, and Austria) have compiled figures regarding the number of objects that have been claimed through their auspices. But no statistics are tallied pertaining to the number of objects returned through direct negotiations with museums, auction houses, institutions, corporations, and private individuals. c/ the total value of restituted art objects is directly dependent on the answer to the aforementioned. The recipients of restituted art objects are usually driven to sell them because they cannot afford to keep them in their possession as a result of their inflated value and the ensuing insurance and other expenses that accompany their maintenance as one's newly found property. Other successful claimants part with the restituted objects because there are a multitude of individuals who have a rightful claim to a share of the value of the restituted object(s). There can be as many 50 or 60 individuals who can benefit from the monetization of restituted objects, thus significanly diluting the actual amount earned from the sale of the restituted object(s). And then, there are those folks out there who have recovered their objects and prefer to sell them for their own personal reasons which are theirs only to be treated as a private matter, free of outside commentary. The only indication of value comes from press reports about items being auctioned after restitution. It can safely be assumed that the objects with an Austrian provenance—mostly oil paintings by Gustav Klimt and Egon Schiele—have fetched the highest prices at auction following their restitution, mostly due to the infatuation by the upper tiers of the global art market for such works, regardless of their inherent and implicit esthetic value. Those works alone have fetched in toto more than half a billion dollars. It might be safe to conservatively estimate the total value of restituted objects at slightly more than a billion dollars since the late 1990s. But that figure needs to be carefully verified through an elaborate survey of the field of art restitution. Although this question is unfair and unjust, it still needs to be answered out of a desire for transparency. We can only surmise how costly litigation efforts can be once we fuse the fees earned from those seeking restitution and those working to prevent restitution. Usually, museums and art dealers will recruit fairly well-heeled law firms as outside counsel in order to safeguard the integrity of their collections and rebuff attempts by claimants to assert title. On the plaintiffs’ side, there is an odd mix of solo practitioners and small and large firms involved in art restitution. All told, there are not more than 100 or so attorneys—yes, you read it!—who work on art restitution cases as an integral part of their legal practice if we combine North America, Europe and Israel. Since most plaintiffs cases are adopted on a contingency fee basis, usually 30 per cent, you should take the estimated value of restituted objects and divide that figure by three in order to get an idea of the estimated value of the litigation for plaintiffs’ lawyers since the late 1990s. Likewise, for those lawyers defending their clients against outside claims, the fees can easily rise into the millions of dollars for each claimed object. Most of the claimed objects that are subject to intense years-long litigation hold values in excess of 1 million dollars. Where does all of this leave the bewildered field of provenance research? The two main incentives underlying provenance research since the late 1990s are to 1/ safeguard art objects which are part of a private or public collection or held by an individual collector or 2/ obtain the restitution of such an art object. What does this mean in terms of the objective and empirical integrity of the research being conducted on the history of an object? How do these legal undertakings affect the very nature of provenance research as distinct from its initial intent as an art-historical practice? What is the future of provenance research and can it be salvaged as an objective, scientific field of inquiry? Since the seizure of “Portrait of Wally” in early January 1998, provenance research has lost its innocence. Battle lines have been drawn between defendants upholding their rights to keep art objects under fire for being “looted”, on one side, and plaintiffs demanding the return of those art objects arguing that they were the rightful owners. These claimants argued that their families had been despoiled for racial, ethnic, religious and other reasons at some point between 1933 and 1945 during the twelve year reign of the Nazi Party and as a result of the expansionist war decreed by Adolf Hitler and his minions against Europe’s “undesirables”-Jews, Slavs, Jehovah’s Witnesses, homosexuals, emotionally and physically challenged individuals, and anyone else who was caught in the cross hairs of the Axis powers in a continental-wide fit of man-made madness, verging on an apocalyptic nightmare worthy of any painting signed by Hieronymous Bosch. There had been a glimmer of hope at the time of the so-called Washington Conference on Holocaust-Era Assets on November 30-December 3, 1998. Art was not supposed to be on the calendar of the conference. But the seizure of the Schiele paintings (actually, two paintings had been seized at MoMA in early January 1998) changed the configuration of the planning for the Washington Conference. American policymakers were not pleased about the seizure because they argued that it had besmirched the bilateral relations of the United States and Austria. In so stating, the US government had sided against the claimants and had upheld Austria’s argument at the time that the entire flap over “Wally” was a private matter to be resolved between the claimants—heirs of Ruth Bondi-Jarai and Fritz Grunbaum—and the Leopold Foundation, then owner of the seized paintings. Still, Morgenthau’s muscled intervention at MoMA triggered an existential debate inside Austrian political and cultural circles which forced Austria to reexamine its entire relationship with its past as it pertained to the illegal seizures of Jewish cultural property and how postwar Austrian authorities had mishandled claims for return of such looted assets. The end result: the only restitution law in the world which mandates “provenance research” in all Federal public cultural institutions of the Republic of Austria. Begrudgingly, the US government and its many allies at the planning table for the Washington Conference inserted art as one of the many different types of looted assets whose status needed to be discussed by the representatives of nations and Non-Governmental Organizations (NGO) attending the international event. The Washington Conference produced the so-called non-binding “Washington Principles”—11 recommendations that have become de facto “policy” for lack of a better word in many nations that want to remove that cultural monkey off their backs. For some, the Washington Conference was a success. For others, it was a dismal failure. For those who deemed it a success, the Conference had provided a unique forum to get a sense of where the world stood as far as justice to Holocaust survivors was concerned and to promote greater assistance to their dwindling numbers. The principles notwithstanding, everyone went home thinking they had done God’s work for three days. Those who saw in the Conference a dismal failure balked at the so-called Principles as yet another diplomatic way out of taking full responsibility for not having done anything concrete to render justice to the victims of plunder while throwing a sop at museums, and other members of the art market by reassuring them that, although provenance research was highly recommended to fill “unavoidable gaps” in the history of ownership of art objects under their care and stewardship, “fair and just solutions” ought to be sought in order to ensure a measure of justice for all. In the end, for the naysayers, the Washington Conference led to a massive failure of international public policy, thus creating a vacuum of power and decision-making over the fate of countless art objects whose newfound status in legal limbo—plundered or not? Restitutable or not?—had to be resolved not with legislation but through, oftentimes, vicious legal battles pitting museums’ hired guns against plaintiffs’ hired guns. The search for justice over a massive crime of plunder tied to genocide has turned into an international legal slugfest. Instead of chasing airplane crash victims, it became more profitable to seek out victims of plunder. This “think-aloud” is neither the first nor the last on a topic that has become, despite its innocuous phrasing, far more contentious than it ought to be. For now, it is best to throw out some questions for which answers are not necessarily forthcoming. Why all the fuss about provenance research? Up until the mid-to late 1990s, provenance research remained within the province of trained art historians working in cultural institutions where art objects are cared for and displayed for the benefit of the public. The research aims to enhance the understanding of the object—its author, its physical attributes, the period in which it was produced, the reasons for its existence, and how it evolved over time and space. This kind of research is an academic/intellectual exercise that helps ascertain the authenticity of an object and its place in the history of art, writ large. It is not a requirement incumbent upon its practitioner. Provenance research is one of many duties that “come with the job.” If it does not get done, no one gets fired. More often than not, the information that is collected about the object does not enter the “public record” insofar as it is communicated to the general public. If it is communicated, that is left up to the discretion of the institution where the research is conducted. Then, the 1990s came and went, and, all of a sudden, “provenance research” became something else entirely. If I had been working in a museum in the wake of the scandal surrounding the misuse of Swiss bank accounts owned by persons of Jewish descent who may or may not have perished during the Holocaust, I would have been rather oblivious to any debate about loot in general. Once the debate about the mishandling of “Jewish bank accounts” (I hate that expression!) transferred into the (mis)handling of art objects nestled in the permanent collections of countless museums both in North America and Europe, provenance research entered the spotlight front and center. If I had been working in a museum at the time that the “Portrait of Wally” by Egon Schiele was seized at the Museum of Modern Art of New York in early January 1998, I probably would have wondered: what is that all about? And I would have naturally sided with the then owners of the painting, the Leopold Foundation of Vienna, and the exhibitors, the Museum of Modern Art, wondering what Robert Morgenthau, then district attorney of Manhattan, had had for coffee on the day that he decided to order the New York Police Department to seize the painting. I would have done so because my training would have precluded me from even wondering if I should even worry about whether or not the institution that I served had actual title to the objects under my care and examination. 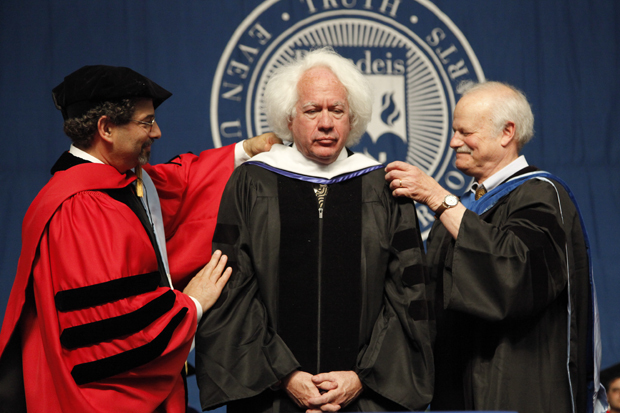 Why should I have worried about title since I simply assumed that my institution was the rightful owner? I write these words simply because it is the right thing to do: acknowledge that the beast that has become “provenance research” has been transformed from an innocuous art-historical practice into a tendentious, litigation-laced, means to an end: does the research into the origins of an object lead to the maintenance of that object in the collection that I help steward or does it lead to the de-accessioning of the object because of some historical wrong that broke the chain of ownership of the object, thus changing its status to “restitutable”? Il était une fois un garçon de onze ans. Un été, il partit en voiture avec ses parents de Paris à Cracovie. Lorsqu’il traversa la frontière polonaise, sa randonnée dura trois semaines, dans un pays hanté par ses fantômes. Ce garçon ne savait pas à quoi s’en tenir. Il pensait que l’air qui circulait autour de lui foisonnait de présences inexplicables. Dans les villes, à travers les campagnes reluisantes, qu’importe. Et puis, un jour, il demanda à ses parents de le conduire à Auschwitz-Oswiecim. Il insista. Son père rata le tournant par trois fois. Enfin, conduisant à dix kilomètres à l’heure, ils aperçurent un panneau indicateur qui mesurait à peine soixante centimètres. L’inscription portait le nom d’Oswiecim, chaque lettre noire soigneusement formée. Une flamme rouge servait de ponctuation. La route étroite mena la petite troupe directement au camp. Elle ne s’y attarda pas car la mère du garçon voulait quitter ces lieux maudits à tout prix. Mais le garçon voulait rester. Il était fasciné par les montagnes de cheveux, de lunettes, de valises, de peignes, de prothèses, les instruments de torture médiévaux pour écraser les cervelles, le mur contre lequel les détenus étaient assassinés par un peloton d’exécution. Ils quittèrent le camp pour se rendre à Varsovie. Là, par un dimanche après-midi ensoleillé, le garçon et ses parents se promenaient le long des avenues désertes de la ville, dont les murs blancs l’aveuglaient tellement ils étaient éblouissants. Puis, venant de nulle part, ils tombèrent sur un juif chasidique, sa tête à peine visible dans l’embrasure d’une petite fenêtre au rez-de-chaussée d’un immeuble. C’était un bouquiniste. Ils lui achetèrent trois livres sur la Pologne, l’un deux s’intitulait: “Nous n’avons pas oublié, we have not forgotten, wir haben nicht es vergessen ! » Ce livre devint la bible du garçon sur la capacité inépuisable de l’homme à commettre des actes de cruauté contre hommes, femmes, et enfants, sans distinction. Nous sommes seuls, en compagnie des âmes de millions d’hommes, de femmes, et d’enfants avalés dans un ouragan de haine et de cruauté, perdus à jamais, leurs cendres parsemées dans le vent, réduits en poussière, relégués à la terre. Des âmes agitées. George Clooney’s latest film, The Monuments Men, offers audiences an action-packed adventure set in Europe during the final days of World War II. The film is based on the true story of American and European art experts who became officers in the Monuments, Fine Arts and Archives (MFAA) section of Allied forces and recovered several million cultural objects from castles and salt mines that had become Nazi art repositories. It is a feel-good saga about American heroes who outsmart Hitler, the ultimate villain. The actual history of the Monuments Men is riveting in its own right, but without the happy Hollywood ending. Franklin Roosevelt charged the MFAA officers with protecting European cultural heritage from the ravages of war. They initially focused on preserving churches, palaces and other historic buildings but ended up recovering the art found in Nazi caches as the Allies moved into Reich territory. 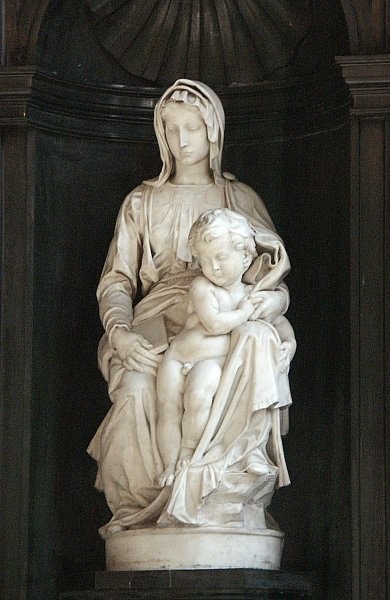 The repositories held objects evacuated from museums in the Third Reich and stolen from German-occupied territories across the continent, such as Belgium’s famed Ghent altarpiece and the Bruges Madonna by Michelangelo. Most tragically, the Nazis had plundered much of the loot from Jewish art collectors across Europe, while agents working for Hitler, Göring and other Party leaders had bought thousands of pieces relinquished by Jews under duress. In Clooney and Heslov’s version of events, the Monuments Men race against time as the Third Reich is crumbling, trying to find art repositories before the Nazis destroy the hidden treasures. The Nazis, the story goes, would rather obliterate masterpieces than let them fall into Allied—especially Soviet—hands. The Germans are implementing Hitler’s Nero Decree of March 19, 1945, which ordered the demolition of infrastructure that could be useful to the Allies—railways, bridges, factories. In the film, the Germans include works of art as potential enemy assets and systematically burn paintings in the Heilbronn salt mine as the Monuments Men race through Germany to stop them. In reality, Minister of Armaments Albert Speer largely thwarted implementation of the Nero Decree and the Germans did not carry out an eleventh-hour demolition of looted art. In Berlin and Paris, they had burned thousands of paintings they considered “degenerate”—Cubist, Surrealist, and Expressionist works they considered harmful to the Aryan mind and spirit—but they did not methodically destroy art they valued. On the contrary, Hitler aimed to preserve all the art the Nazis had accumulated, using it to glorify himself and the Third Reich. Why would Hitler, the man who had wrought such destruction across an entire continent, preserve art? He was building the world’s greatest museum in his childhood hometown of Linz, Austria. His planned display of the continent’s masterpieces would symbolize his military power, much as Napoleon had done with the Louvre collection before him. Hitler’s last will and testament written the day before his suicide states that all works of art in his possession should go to the Linz museum: “It is my most sincere wish that this bequest be duly executed.” His drive to preserve fine art, however, was directly connected to the Nazi destruction of people who had owned it. Seizing and profiting from Jewish assets, including artworks, was central to the Nazi Final Solution. It is true that Hitler ended up endangering the seized works of art by issuing the Nero Decree and feeding a climate of fear and uncertainty among German leaders as Allied forces advanced into Reich territory. In Austria, the fanatical Gauleiter August Eigruber intended to carry out Hitler’s orders and placed explosives inside the Alt Aussee salt mine, repository for 6500 works of art, including the Belgian treasures and works from Vienna museums. In early May 1945, Austrian mine officials received authorization from SS officer Ernst Kaltenbrunner to seal the mine and protect the art inside. Two MFAA members in the Third U.S. Army, Pfc. Lincoln Kirstein and Captain Robert Posey, arrived at the mine on May 16, 1945, a week after V-E Day, and oversaw work by Austrian miners to dig through the rubble and regain access to the mine, locating the cultural treasures. In the film, we see the Monuments Men organized into a platoon. They survive boot camp in England together, land on the Normandy beaches, and develop a sense of camaraderie in their hunt for looted art. But such a platoon never existed. Instead, the military command scattered cultural officers across Allied armies and they most often worked alone or with one partner, meeting occasionally to share information and avoid duplicating efforts. The challenge of working in isolation is illustrated by the work of Lieutenant James Rorimer, future director of the Metropolitan Museum of Art in New York and the inspiration for Matt Damon’s character, James Granger. A curator at the Cloisters Museum in civilian life, Rorimer landed with French troops at Utah Beach on August 3, 1944, two months after D-Day. He immediately began surveying the damage to churches and other historic buildings nearby, documenting in painstaking detail the destruction inflicted by German and Allied bombing. While maintaining contact with superior officers, Rorimer mostly worked alone in Normandy, without a vehicle or assistant. Determined to inspect damage at the grandiose medieval abbey of Mont Saint Michel, he hitched rides on Allied military vehicles and with French civilians. When those vehicles veered from his destination, he walked. Alone. One Air Corps MP Captain suspected he was a German spy, incredulous that a U.S. officer would travel in Normandy without his own transportation. Rorimer and his MFAA colleagues used cunning and imagination to make up for the dearth in personnel, equipment and preservation supplies. Fogg Museum preservationist George Stout, the inspiration for Clooney’s character, managed to secure a beat up German Army Volkswagen without a roof, and New York architect Bancel LaFarge, after weeks of hitchhiking and walking, procured a small British car to navigate country roads. The terminology “Monuments Men” itself elides a rich part of this history: the role played by remarkable women. One was Rose Valland, a French museum official who inspired the Claire Simone character in the film, played by Cate Blanchett. In the film, Simone shows Granger the extent of Nazi looting by taking him to Paris warehouses filled with everyday objects plundered from Jewish homes, much as Valland did with Rorimer in December 1944. Romantic tension between the film characters is pure Hollywood invention, but in real life the two were a powerful team, as Rorimer used Valland’s records of Nazi art looting to track down the treasures of France stashed in Neuschwanstein castle and other repositories. Valland later became a Captain in the French Army and from 1945 to 1953 worked in Germany to help return the collected art to countries of origin. A recipient of the Resistance Medal, the French Legion of Honor, and the U.S. Presidential Medal of Freedom, she remains one of the most decorated women in French history. Edsel’s non-profit foundation includes Valland and several other women on its list of more than three hundred “Monuments Men” from thirteen countries. Among them was Captain Edith Standen, a Canadian-born art expert who became a U.S. citizen in 1942, joined the Women’s Army Corps, and in June 1945 became director of the Wiesbaden central collecting point. Ardelia Hall was a cultural officer at the U.S. State Department from 1946 to 1962 and worked tirelessly to promote restitution of looted art to rightful—mostly Jewish—owners. The Monuments Men should be seen as an entertaining entry to a far more complicated history embedded in the Holocaust. The recent international controversy surrounding the revelation of Cornelius Gurlitt’s art hoard in Munich shows how difficult the work of restitution remains. In the chaotic postwar years, restitution was defined in national terms, to countries of origin that would determine rightful owners, despite the fundamentally international nature of the art market. Over the past seventy years, works seized from Jewish collections or sold under duress during the Nazi era have been resold across territories with varying statutes of limitation for illicit trade, even within the United States. For this reason, the central mission of many Monuments Men and women, restitution to rightful owners, is not yet accomplished. Belated open letter to the "New Republic"
“The obsession with restitution” is an obsession with justice, as exemplified by restitution of lost cultural assets, those items, those objects, those artifacts, regardless of value or museum worthiness, those parts of ourselves that serve as our extensions and our means of expressing non-verbally our deepest sentiments, longings, loves, and aspirations. It is not just about Fragonard, Bellini, Tintoretto, van Dyck, Rembrandt, Leonardo and countless other “masters”. It is not just about the finest silver and the finest gold and the finest stones set in the finest settings. It is not about those rarest of rarest of books and incunabulae, or textiles carefully woven with the most precious fabrics for that most precious person. Actually, we are talking about something that makes you and I and our friends, our children, our relatives, and those around us whom we do not know, it is what makes us human, it is about culture. And culture is what Hitler and his henchmen and collaborators across Europe sought to uproot wherever it was deemed to be “Jewish” and “degenerate”, in order to substitute something clean, tasteful, that was Judenrein. In order to proceed with the uprooting of culture and the mass of objects encapsulated under that moniker, Hitler’s henchmen and collaborators across Europe committed an act of genocide. That makes Hildebrand Gurlitt, Cornelius Gurlitt’s father, an accessory to genocide, together with all other art dealers, collectors, museum officials and curators, art historians, auctioneers, and appraisers who found opportunity in State-sanctioned mass displacement of property that accompanied the slaughter of millions. The dispossessed lost their homes, their property, their sense of self, the beauty around them was extinguished and they were only left to wonder why such horrors had befallen them. There exists a significant emotional and spiritual linkage between people of all ages and backgrounds and ethnicities and creeds and the objects that surround them, that populate their lives. It could be a candelabra, it could be an incense burner, it could also be a small drawing by Edgar Degas, or a satirical piece by Georg Grosz or even a surrealistic painting by Felix Nussbaum, or a ditty scrawled on a napkin. It doesn’t matter what it is; it is the meaning that it embodies which is precious to us all. The crime consists in rending that object from our bosom, as if part of our soul had been ripped to shreds, and for what? For being Jewish, for being “different”? for being “unacceptable”? “undesirable”? We certainly do not place objects above people. We place objects in the constellation of people, much like satellites circling planets. And when the satellite leaves its orbit, all hell breaks loose and we are released into the wilderness of space, aimless. Fighting for restitution does not weaken our loss, it acts as a vital reminder of the world that was consumed in flames and gas, not completely, but almost. Obtaining restitution is but a small step to establish the cardinal principle that justice does exist and that with resolve and perseverance and belief in ourselves and in our kin and in higher principles, even if the outcome is hopeless much like it was for those young fighters in the Warsaw Ghetto, my personal heroes, we can assert the value of justice and reaffirm our right to exist while honoring the loss of those who came before us and cannot be with us due to a crime against humanity. For myself, I am the single child of two artists, two artists who sought out the famed “School of Paris” and bought a one-way boat ticket from New York to experience it all in the City of Lights, poor as could be, rich as could be. Miserable but filled with the soul and spirit of what they embraced and lived—art and culture. Breathing it, in and out, every day, as pure as the driven snow, which drove them into the ground, because, as you know, the art market is unforgiving, cruel, and indifferent to human plight. By the way, Lincoln Kirstein and his ilk are part and parcel of that market, that cultured elite which enjoys driving artists into the ground in the name of Kultur. I make no apologies for being so fiendish and cynical but that is the cold reality that artists must endure. By extension, the “Monuments Men” would not have given the time of day to most artists incinerated in the Nazi apocalypse. Sad but true. Where are we now? Most people think that the excitement today is about money. It always has been. People are what they are. A cheap headline always includes money. Journalists do not write about a restituted collection if the word “million” is not included in the header. That state of affairs comes from ignorance and intellectual opportunism, the flip side of “pornographic journalism.” It is no different today than it was in the 1930s and 1940s and 1950s. Yes, it is true that high-priced restitutions are good for the art market. There is a certain twisted logic in the way that the press, comforted by today’s elites, creates a perverse and distorted linkage between the restitution of looted art and the staggering values derived from those objects that have been returned to rightful owners. As if the only objects that were stolen by the Nazis were of museum quality and affordable only to the 1 per cent. Let's not forget that the 99 per cent are ignored by the press and whose clamor for justice is never heeded? Why then claimants to give up and simply “remember"? Once again, it is not just about Gustav Klimt or Egon Schiele. It is about those thousands of artistic minds and creative spirits from dozens of nations who produced all kinds of works, in all sorts of media, as extensions of their spirit. It is up to us to appreciate them or ignore them, but their sum constitutes our cultural and artistic patrimony, like it or not. As to your quip about rescuing a piece by Damien Hirst, he occupies a space in our culture, even if we do agree here that his work might not be worth saving. But, if I did not save Hirst, why should anyone save my parents’ works? Who am I to judge what is worth saving and what is worth abandoning to a hellfire? Such flawed reasoning puts us square in the lap of the Monuments Men whose mission was to rescue the “cultural treasures” of Western civilization, worshipped in countless museum studies programs, institutes of art, and revered temples of culture, at the expense of the lesser-known, the lower tiers of cultural and artistic output. Cost-benefit analysis correlates with the rarefied air of high-priced recoveries and restitution of stolen art. There is a prevalent feeling that we trivialize the Holocaust if we emphasize material losses. We are told repeatedly that the Holocaust was not about property, it was about people and by seeking restitution of looted assets, whatever they may be, we end up reducing the Holocaust to a great train robbery. Well, my reply to this criticism is very simple. The Holocaust is far more than a wholesale continent-wide massacre of six million men, women, and children. It was an undertaking whose aim was to erase their culture, their religion, their faith, their aspirations, their ideas, their wants, their ambitions, their intellectual, economic, political, spiritual, social, presence on earth. The eradication of these six million men, women, and children led to a traumatic impoverishment of human society on a scale never seen before. To fully grasp the significance of the Holocaust, it was a gargantuan enterprise to remove their ideas, their visions, their opinions, their accomplishments, their friendships, their loves, their legacies, from human society. Most importantly, one of the prime features of the Holocaust was the vast and complex transfer of the property of these six million men, women, and children to non-Jewish Aryan possessors who found themselves enriched sometimes overnight by the illegal misappropriation of the personal, corporate, and intellectual assets of an entire group of individuals in 19 nations across Europe, Asia, and Africa. Every object is but one infinitely small grain of sand on that beach of death called genocide on which we walk every day.